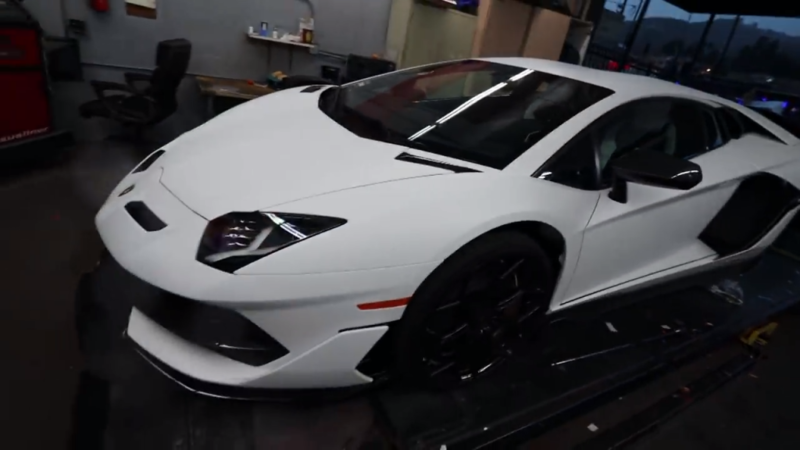 The Lamborghini Aventador SVJ has barely started arriving with the lucky customers around the world but the first one in the USA has gone straight to a modification shop for a little aural upgrade (as if it needs it). The Sant’Agata Bolognese manufacturer is only bringing 900 units of the SVJ to the world so most owners will likely keep their Raging Bull in stock factory spec. This owner is not one of them as it is already inside a tuner’s garage and that’s because the thing is getting a straight pipe exhaust. Thanks to the piece of footage at the bottom of the page you’ll get to listen to the V12 monster without its muffler on. Sure, the catalytic converters are still in place, but these will have to go.